This unique Italianate seaside village was built by Sir Clough Williams-Ellis from 1925-72, and made famous by TV series "The Prisoner". 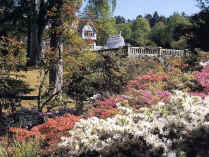 It is surrounded by the lovely Gwyllt woodland gardens containing rare Himalayan flowering trees and other exotics. A few miles away is Plas Brondanw, the home of Sir Clough Williams-Ellis and a delightful garden with topiary and statuary together with wonderful vistas over the surrounding mountain scenery. 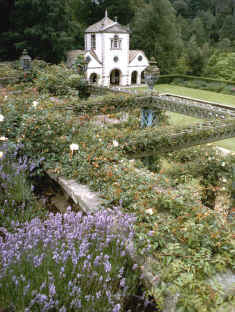 Covering over 80 acres, Bodnant is one of the finest gardens in Britain with magnificent rhododendrons, camellias and magnolias in the spring followed by herbaceous borders, roses and water lillies in the summer and glorious colour in the autumn. Situated above the river Conwy, there are spectacular views over the Snowdonia range. 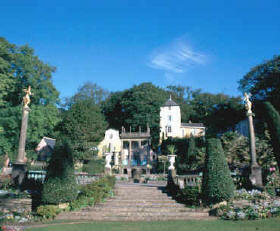 Plas Newydd, the traditional home of the Marquess of Anglesey, is situated on the banks of the Menai Strait. This elegant 18th century house by James Wyatt commands magnificent views of the Strait and the mountains of Snowdonia. 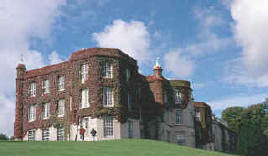 The house contains a Rex Whistler exhibition and a military museum. 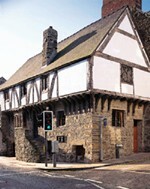 Dating from the 14th century this is the only medieval merchant's house in Conwy to have survived the turbulent history of the walled town for nearly six centuries. The furnished rooms reflect daily life from different periods in its history. 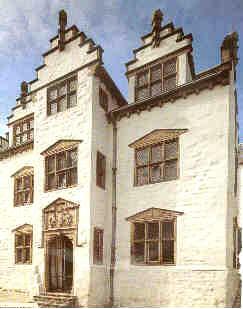 At the heart of medieval Conwy stands Plas Mawr, the "Great Hall", built between 1576 and 1585 for the Welsh merchant Robert Wynn.This richly decorated building is an architectural gem, the finest surviving town house of the Elizabethan era in Britain. 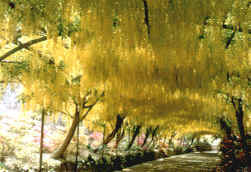 It is especially noted for the quality and quantity of its ornamental plasterwork, now fully restored to its original splendour.